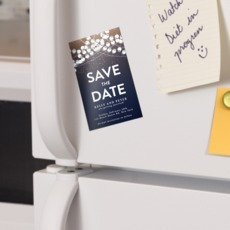 Save the date wedding magnets have become popular in recent years and are now often included in invitations. They could even be placed in the fridge to make guests remember your special day no matter how busy they are. They could be made like a calendar where the special day is marked is out. 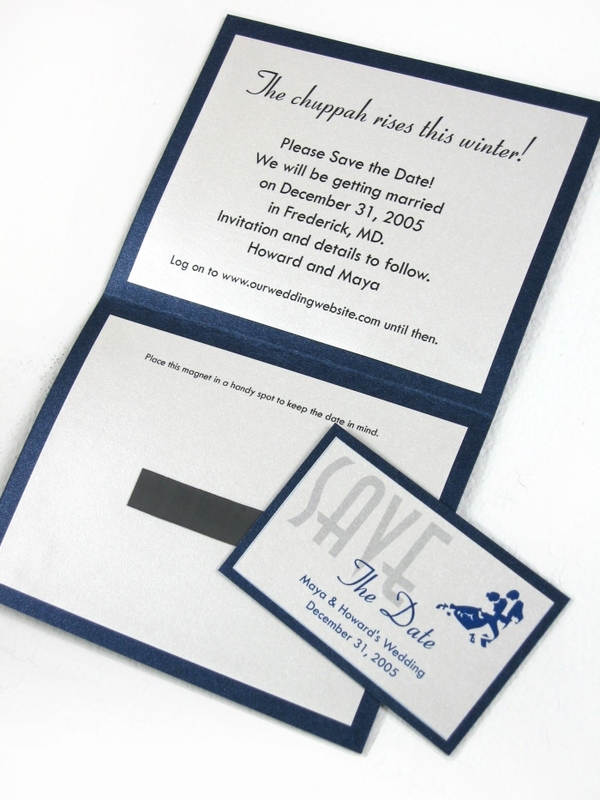 They can also serve as teasers which are sent earlier before the invitations. Just a quick tip, remember to design these magnets in line with the theme. It would look more sophisticated if all wedding details go under one umbrella. Wedding magnets are also popular as giveaways for wedding guests so they’ll have a little something to remember the day. You can print magnets with photos or make a magnetic thank you card. You can even use your favorite quotes on the magnets and share them with everyone. Your guests will surely appreciate these giveaways as they could display them in their homes or office. Tell the world it’s your wedding day by posting car door magnets! Instead of using costly limousines, why not print up car magnets to give the bridal car a little something extra on your wedding day. You just have to place these car door magnetic prints, customize them the way you want and remove them when the wedding is over. Magnets won’t leave any scratches or damages so there’s really no need for you to worry. Make things easier for guests; prepare magnetic prints which will direct them to the church or the reception. Magnets can easily stick to mail boxes or metallic yard signs so you won't have trouble putting them up. At UPrinting, designing your own wedding magnets is free with our Easy Design Tool. If you already have a design ready, just send us the file and we’ll make the necessary adjustments to make it print-ready for free! We also offer free proofing so no important elements in your images get trimmed off. For more questions on custom magnet printing, call 1-888-888-4211, or click on the chat support button on the top of this page to get started!